Cyrus K. Aidun’s research focuses on direct numerical simulation (DNS) of suspension hydrodynamics, including fiber suspension, biotransport and whole blood flow. Additional research interests include methods for enhancement of convective and boiling heat transfer, multiscale biotransport and fluidics-based automation of sorting and selection of somatic embryogenesis for clonal propagation of plants. He has pioneered the development of the Lattice-Boltzmann (LB) method for suspension hydrodynamics and nonlinear dynamical systems. It is now well established that the LB method, based on the solution of discrete Boltzmann equation, is a superior computational method for hard particles as well as transport of deformable capsules and particle. These methods open the possibility for mechanical, thermal and rheological analyses of a broad class of deformable particle/fiber suspension flows. He received his bachelor’s and master’s degrees from Rensselaer Polytechnic Institute and his Ph.D. from Clarkson University. Bennett offers extensive experience in the pulp and paper and forest products manufacturing industry with emphasis in strategy, government affairs, communications and business process development. Current clients include the Renewable Bioproducts Institute at Georgia Tech and the forest industry’s APPTI, among others. In addition to strategy and communications, she has special expertise in integrating regulations and other external expectations of industry operations with business and operational goals. 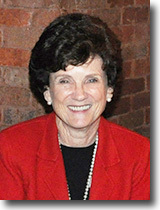 She formerly served in senior positions at Bowater Corporation, Georgia-Pacific Corporation, Fort James Corporation and others and was a Senate-confirmed Presidential appointee to the U.S. Environmental Protection Agency. She is a former president and chair of TAPPI and member of the TAPPI Foundation Board of Trustees. Andreas S. “Andy” Bommarius is a Professor of Chemical and Biomolecular Engineering, as well as Chemistry and Biochemistry, at the Georgia Institute of Technology. He received his degree in Chemistry in 1984 at the Technical University of Munich, Germany, and his Chemical Engineering bachelor’s and Ph.D. degrees in 1982 and 1989 at MIT, Cambridge, MA. In industry at Evonik (then Degussa) from 1990-2000, he led the Laboratory of Enzyme Catalysis and worked on projects ranging from chiral pool syntheses and membrane reactors to use of enzymes in laundry and pulp and paper applications. His research interests cover green chemistry and biomolecular engineering, specifically biocatalyst development and protein stability studies. His lab applies data-driven protein engineering to improve protein properties on catalysts ranging from ene and nitro reductases to cellobiohydrolases. Bommarius has guided the repositioning of the curriculum towards Chemical and Biomolecular Engineering by developing new courses in Process Design, Biocatalysis and Metabolic Engineering, as well as Drug Design, Development and Delivery (D4), an interdisciplinary course with Mark Prausnitz. Andrew Dugenske is a State of Georgia registered professional engineer. 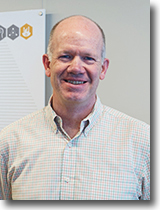 For the past 30 years, he has led dozens of industry-funded projects relating to software systems and supply chain issues across a variety of industries. 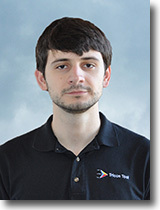 He currently acts as an industry liaison for Georgia Tech, conducts short courses, publishes, and consults in the area of Factory Information Systems (FIS). He is a member of the National Electronics Manufacturing Initiative (NEMI) FIS working and implementation groups, the NEMI road mapping team, several IPC technical committees, the JISSO International Council and the joint NEMI-IPC CAMX standardization committees. Prior to his arrival at GTMI, he was a Research Engineer at the Georgia Tech Research Institute (GTRI), where he developed computer-controlled radar positioning systems. He received a bachelor’s degree from the University of Illinois, a master’s degree from Georgia Tech both in Mechanical Engineering. He is also founder and C.E.O. of Factory Right LLC, a software company that provides information technology solutions to manufacturing enterprises and was co-founder and president of Great Technological Collaborations Inc.
Bill Eason received his Bachelor of Engineering from Vanderbilt in 1987, majoring in Electrical Engineering and Computer Science. After working for NCR as a firmware developer, he came to Georgia Tech to further his studies in EE and CS, receiving his MS-EE in 1992. He worked mostly as a firmware/software engineer for a number of progressively smaller companies, including one ATDC startup, prior to returning to Georgia Tech as a Research Scientist in 2015. 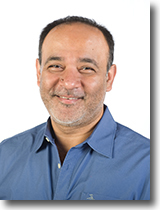 Irfan Essa, Associate Dean, is a Professor in the School of Interactive Computing (IC) of the College of Computing (CoC), and Adjunct Professor in the School of Electrical and Computer Engineering. He works in the areas of Computer Vision, Computer Graphics, Computational Perception, Robotics and Computer Animation, with potential impact on Video Analysis and Production (e.g., Computational Photography & Video, Image-based Modeling and Rendering, etc.) Human Computer Interaction, and Artificial Intelligence research. Specifically, he is interested in the analysis, interpretation, authoring, and synthesis (of video), with the goals of building aware environments, recognizing, modeling human activities, and behaviors, and developing dynamic and generative representations of time-varying streams. He has published over a 100 scholarly articles in leading journals and conference venues on these topics. At GA Tech, he is primarily affiliated with two interdepartmental centers; the Robotics & Machine Intelligence (RIM@GT) Center and the GVU Center. 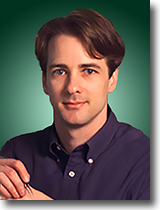 He founded the Computational Perception Laboratory (CPL) at GA Tech in 1996, which he now co-directs with 4 other faculty members. He is also the founding member of the Aware Home Research Initiative (AHRI) and the Collaborative Adaptive Believable Agents Lab (CABAL). He also started an effort on Digital Video Special Effects & Animation (DVFX) and Computational Journalism (CnJ). Stefan France’s research spans three primary areas of interest. His research in Method Development includes the study of the design of efficient methodologies to accomplish the formation of carbon-carbon and carbon-heteroatom bonds with the intent to apply the methodology toward the synthesis of complex natural and unnatural targets. Natural Product Synthesis research explores both modular and convergent approaches to complex targets that enable facile derivatization for the development of combinatorial libraries. Medicinal Chemistry focuses on the design, synthesis and development of pharmaceutical drugs, or other chemical entities suitable for therapeutic use as well as the study of their biological properties and their quantitative structure-activity relationships (QSAR). He earned his bachelor’s degree in Chemistry at Duke University in 2000 and his master’s and Ph.D. in Chemistry at Johns Hopkins University, 2003 and 2005, respectively. Nagi Gebraeel is a Georgia Power Associate Professor in the Stewart School of Industrial & Systems Engineering at Georgia Tech. Gebraeel’s research interests are in equipment prognostics and diagnostics for improving reliability, maintainability and availability by leveraging degradation-based sensor data streams; and the integration of these results in subsequent maintenance, operational and logistical decision making. His specific focus is on tackling these problems in Big Data settings involving massive amounts of data streams and large equipment fleets. Gebraeel currently serves as an associate director at Georgia Tech’s Strategic Energy Institute with the responsibility of identifying and promoting research activities and thought leadership at the intersection of Data Science and Energy. He is also the director of the Analytics and Prognostics Systems laboratory at Georgia Tech’s Manufacturing Institute. He is a member of the Institute of Industrial Engineers (IIE), Institute for Operations Research and the Management Sciences (INFORMS) and The American Institute of Aeronautics and Astronautics (AIAA). He was the former president of the IIE’s Quality Control and Reliability Engineering Division. He received his master’s and Ph.D. from Purdue University in 1998 and 2003, respectively. Martha Grover earned her bachelor’s degree in Mechanical Engineering from the University of Illinois, Urbana-Champaign, and her master’s and Ph.D. in Mechanical Engineering from Caltech. 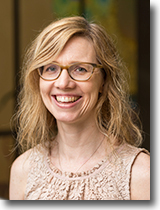 She joined Georgia Tech as an Assistant Professor in 2002, and received an NSF CAREER award in 2004. In 2011, she received the Outstanding Young Researcher Award from the Computing and Systems Technology Division of AIChE. Her research program is dedicated to understanding, modeling, and engineering the self-assembly of atoms and small molecules to create larger scale structures and complex functionality. Her approach draws on process systems engineering, combining modeling and experiments in applications dominated by kinetics, including surface deposition, crystal growth, polymer reaction engineering, and colloidal assembly. 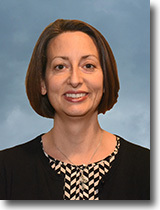 She is a member of the NSF/NASA Center for Chemical Evolution, and the Georgia Tech Center for Organic Photonics and Electronics. 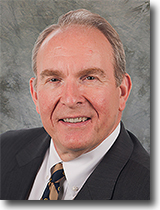 Dirk Krouskop began his career in 1976 with the United States Environmental Protection Agency working at their National Environmental Research Center located in Cincinnati, Ohio. In 1979 Dirk joined the Mead Corporation as an environmental engineer and served in various corporate and facility roles including mill Environmental Manager and corporate Director of Regulatory Assurance followed by appointment as Director of Environmental Programs for Mead. 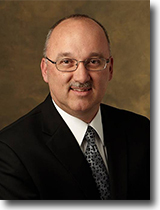 When Mead Corporation and Westvaco Corporation merged in 2002, Dirk was named Managing Director of Safety Health and Environment for MeadWestvaco. In 2006, he was appointed Vice President – Safety, Health and Environmental, a position that he held until he left MeadWestvaco in November 2014 after being named as President and CEO of the National Council of Air and Stream Improvement (NCASI), the position he currently holds. During his career Dirk served on various American Forest and Paper Association committees including Chair of the Environmental Resource Committee and various NCASI committees, including Chair of the Operating Committee. He has also served on the Boards of the Virginia Manufacturers Association and the National Association of Environmental Management. Dirk received his bachelor’s degree in Civil Engineering and master’s degree in Environmental Engineering degrees from the University of Cincinnati. He also received an MBA degree from Ohio University. 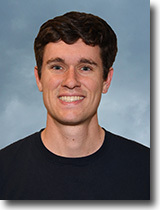 Nick Kruyer is a second year graduate student in Chemical and Biomolecular Engineering advised by Dr. Pamela Peralta-Yahya and Dr. Andy Bommarius. His research focuses on renewable chemical production using microbes. Nick graduated from Johns Hopkins University in May 2016 with a B.S. in Chemical and Biomolecular Engineering. 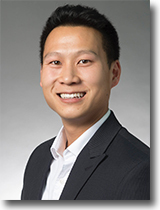 Thomas Kwok is a fourth-year Ph.D. student in ChBE and an RBI Fellow. He has envisioned a lignin value prior to pulping process, and his PhD is focused on taking that vision and making it a realistic possibility. Thomas is advised by Dr. Andreas Bommarius and Dr. Matthew Realff. 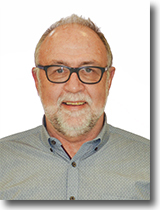 His publications include “Applying Direct Yellow 11 to a modified Simons’ staining assay” and “Lignin Value Prior To Pulping – An Advanced Pulping Concept”. Thomas graduated with honors from Caltech where he captained and started on the NCAA DIII soccer and baseball teams respectively. Thomas has participated in two start-ups with Romny Scientific and Zinerva Pharmaceuticals, interned at Merck & Co., and has done research in both San Francisco and Singapore. He expects to graduate in Spring 2019 and is looking for a job in the greater D.C. area. 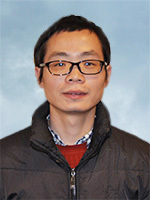 A Ph.D. student at Georgia Institute of Technology, Wei Liu’s research focuses on nanocellulose material and biomass conversion. Liu has extensive research experience in cellulose based superhydrophobic film, filtration membrane and biomass fuel cell technology. He has published 4 first-author papers in high-impact journals such as Nature Communication and Anger. Chem. He has two patents on biomass conversion technology. 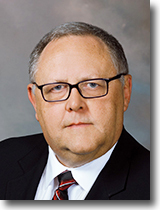 Dr. Luettgen served 25-plus years in the industry, with Scott Paper and Kimberly-Clark Corp., where he most recently served as Senior Research and Engineering Manager for the Kimberly-Clark Professional business sector. He has held positions in product development and innovation as well as in capital project management and manufacturing facility leadership. 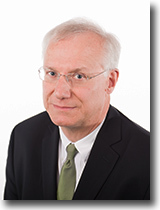 For several years, Luettgen has served on the RBI Industry Board of Advisors and he is the current Chairman of the Board of the Technical Association of the Pulp & Paper Industry. He earned his bachelor’s degree in Paper Engineering at Western Michigan University (1985), his master’s degree at the Institute of Paper Chemistry, Appleton, WI (1987) and his Ph.D. at the Institute of Paper Science and Technology — now RBI — at Georgia Tech (1991). He rejoined Georgia Tech in November 2014. Areas of interest include: Recycled fiber, renewable cellulosic feedstocks, tissue manufacturing and converting and manufacturing leadership/operations excellence. As Executive Director, Dr. Marsolan is responsible for engaging the research capacity of Georgia Tech in the service of member companies and industry. After 20 years of service, Marsolan retired from International Paper Company in 2008, where he last served as Director of Research and Development. He also held assignments as Mill Manager and as Director of Technology Manufacturing Solutions, responsible for the worldwide support of pulp and paper manufacturing. 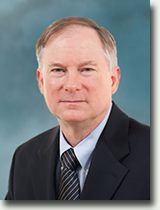 He is a past Chair of the Technical Association of the Pulp and Paper Industry (TAPPI). 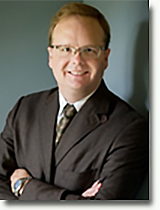 He is an affiliate member of the forest products industry’s Agenda 2020 Technology Alliance and a TAPPI Fellow. A.J. Medford attended North Carolina State University as an undergraduate, and subsequently spent a year as a Fulbright Fellow at the Technical University of Denmark before attending Stanford University where he received his Ph.D. in Chemical Engineering. His past research has spanned a wide range of applications including battery electrodes, polymer solar cells, data science, and catalysis. His thesis work focused on developing computational tools for analyzing trends in catalysis under the guidance of Professor Jens Nørskov, and as a postdoc he worked with Professor Surya Kalidindi on data infrastructure for materials science. His current research involves application of data science techniques to reduce complexity in computational models of catalytic systems, with the ultimate goal of predictive design of catalytic materials for biomass conversion and nitrogen fixation. 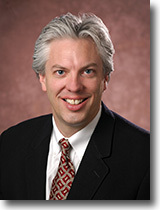 Carson Meredith received the bachelor’s degree in Chemical Engineering from Georgia Tech (1993) and his Ph.D. in Chemical Engineering from the University of Texas, Austin (1998). 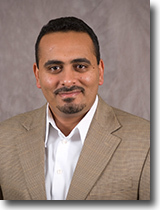 He was a postdoc at NIST from 1998 to 2000, and joined the ChBE faculty at Georgia Tech in 2000. His research interests intersect both colloid and polymer science. His early work was instrumental in establishing the field of high-throughput screening and development of polymers. Other areas of interest include (i) renewable packaging and coatings, (ii) particle adhesion and interactions in composites and sustainable separations, and (iii) bio inspired colloids and polymers for advanced materials. Dr. Meredith is the Chief Editor for the biomaterials area for the newly launched journal Emergent Materials (Springer), is a recipient of a Bill & Melinda Gates Grand Challenge Grant (2014) and the Honda Initiation Award (2007). Christopher L. Muhlstein received his bachelor’s degree in Materials Science and Engineering from the University of California, Berkeley (1994), his master’s in Metallurgy from the Georgia Institute of Technology (1996) and his Ph.D. in Materials Science and Engineering from the University of California, Berkeley (2002). Muhlstein joined the faculty in the School of Materials Science and Engineering at the Georgia Institute of Technology in 2011 after spending nine years on the faculty at Pennsylvania State University (2002-2011). Muhlstein’s research establishes fracture and fatigue mechanisms in bulk and thin film materials. Muhlstein is a member of Alpha Sigma Mu and Keramos honor societies and an NSF CAREER award recipient. 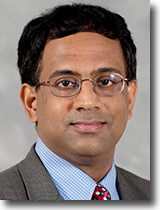 Professor Nair’s research focus is creating, understanding and rationally engineering nanoporous materials and membranes through innovative chemical and processing strategies, as well as manipulating the unique properties resulting from the reduction of material dimensions to the nanometer length scale or from the nanostructuring of a material. He also works with basic and applied problems relating directly to renewable/clean energy, carbon capture, advanced separations, catalytic membranes and nanoscale sensors. Nair received his bachelor’s of technology in Chemical Engineering from Indian Institute of Technology, Delhi, in 1997; his master’s of Physics and Ph.D. of Chemical Engineering from the University of Massachusetts, Amherst, in 2002. 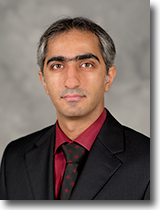 Kamran Paynabar is an Assistant Professor in the Stewart School of Industrial & Systems Engineering at Georgia Tech. 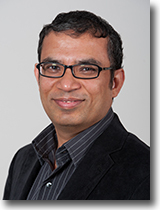 His research interests focus on statistical and machine learning for analysis of high-dimensional streaming data including multi-stream signals, images, videos, point clouds and networks for systems monitoring, diagnostics and prognostics with applications ranging from manufacturing including automotive and aerospace to healthcare. He received his bachelor’s and master’s degrees in Industrial Engineering from Iran University of Science and Technology and Azad University in 2002 and 2004, respectively, and his Ph.D. in Industrial and Operations Engineering from The University of Michigan in 2012. He also holds a master’s degree in Statistics from The University of Michigan. He is the President of Quality Control and Reliability Engineering of IISE, and the acting Chair of Quality, Statistics, and Reliability of INFORMS. development and utilization of computational and machine-learning methods aimed at the discovery of new materials for energy production and storage applications. His research is funded by ONR, NSF, DOE, ARO and industry partners. He has led an ONR-sponsored Multi-disciplinary University Research Initiative (MURI) in the past to accelerate the discovery of polymeric capacitor dielectrics for energy storage, and is presently leading another MURI aimed at the understanding and design of dielectrics tolerant to enormous electric fields. He is a Fellow of the American Physical Society, an elected member of the Connecticut Academy of Science and Engineering, and the recipient of the Alexander von Humboldt Fellowship and the Max Planck Society Fellowship for Distinguished Scientists. 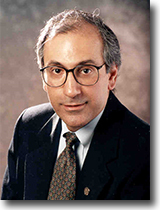 Dr. Realff has been at Georgia Tech since 1993, after completing his bachelor’s degree at Imperial College London and Ph.D. in chemical engineering at MIT in 1992. He was National Science Foundation (NSF) Program Director from 2005-2007 and currently serves as an NSF external expert in resilient infrastructure systems. He co-chaired the 2013 American Chemistry Society Green Chemistry Conference. In December 2013 he was appointed Associate Director of the Georgia Tech Strategic Energy Institute and in 2014 as Associate Director of the Renewable Bioproducts Institute to help develop programs in chemicals and fuels. 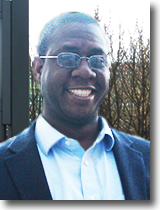 His research interests are in process and sustainable systems engineering. He has current projects in lignocellulosic pretreatment process invention, DoE-sponsored carbon dioxide capture from flue gas streams and bio-based chemical process design sponsored by NSF. Mike Rushton graduated as a chemical engineerM from the University of Exeter, England, in the mid 70s and became involved almost immediately in the development and commercialization of process technology. He moved to Canada in 1978, where he still resides, working in a variety of industries – oil refining, pulp and paper, chemicals, metal smelting and alternative energy moving over the years from technical roles to commercial and executive positions. 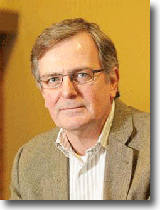 In 2006, Mike joined Lignol Innovations, a company developing biorefinery processes and lignin applications, as COO. In early 2015, Fibria Celulose SA, a Brazilian company and global leader in sustainable forestry and eucalyptus market pulp production, acquired the assets of this company and established Fibria Innovations, based in Burnaby, BC, with the goal of supporting Fibria’s strategy for diversification into the bioeconomy. Mike is responsible for the operation of this company, which is engaged in R&D into new bioproducts and biomaterials such as lignin and its derivatives. 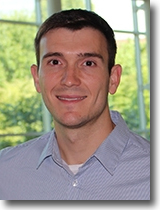 Nikolay Semenikhin is a fourth year graduate student in the School of Materials Science and Engineering at Georgia Institute of Technology. His research is focused on surface functionalization and metallization of cellulosic nanomaterials for the purpose of creating novel hybrid materials with unique optical, electrical, and magnetic properties. 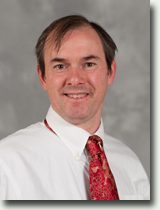 Shofner joined the faculty following post-doctoral training at Rensselaer Polytechnic Institute. She received a bachelor’s degree in Mechanical Engineering from the University of Texas at Austin and a Ph.D. in Materials Science from Rice University. At Georgia Tech, Shofner’s research focuses on designing hierarchically structured polymeric materials for structural and functional applications through approaches such as novel processing, polymer crystallization and nanoparticle assembly and templating. 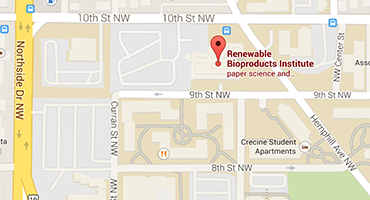 In her current research, these methods have been employed preferentially to biobased materials. Shofner’s research has been recognized with the Ralph E. Powe Junior Faculty Enhancement Award from Oak Ridge Associate Universities and the Solvay Advanced Polymers Young Faculty Award. Singh’s research is focused on the fundamental understanding of the environmental degradation of material properties, especially for metals and alloys, and their protection. His research work is related to the corrosion and SCC problems in the pulp and paper industry, bio-fuels, the energy industry, transportation infrastructure and nuclear industry. Singh has published more than 175 papers in refereed journals and conference proceedings. He is an active member of NACE, ASM, TMS, AIST and ACerS. 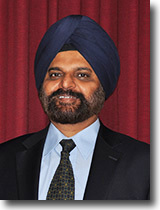 Singh is Fellow of NACE International as well as ASM-International. David B. Turpin is president and executive director of the forest products industry’s Agenda 2020 Technology Alliance (recently renamed the Alliance for Pulp and Paper Technology Innovation), an industry-led consortium that promotes development of advanced technologies for the pulp and paper industry. Turpin oversees identification of the industry’s technology research priorities and development of strategies to address them, building partnerships and identifying potential funding sources. Prior to joining Agenda 2020 in July of 2014, he served for more than 25 years with MeadWestvaco and its predecessor Mead Corporation. Most recently, he was Vice President, Innovation Systems, and prior to that served as Vice President, Packaging Materials and Processing. He holds a bachelor’s degree in paper science from North Carolina State University. A historian of technology, innovation, and public policy, Dr. Usselman studies American economic development and the dynamics of global capitalism since 1815. He teaches courses on Technology in America; Law, Technology, and Politics; Business Organizations and Political Economy; and Engineering in History. Usselman's publications include Regulating Railroad Innovation: Business, Technology, and Politics in America, 1840-1920; The Challenge of Remaining Innovative: Lessons from Twentieth Century American Business (with Sally Clarke and Naomi Lamoreaux); and The Rise of Big Business, 1860-1920 (forthcoming with Glenn Porter). His numerous articles and book chapters include the award winning "IBM and Its Imitators," one of several devoted to the history of information technology. He is currently at work on two projects: one examines new business practices associated with changes in global transport and logistics since 1945; the other traces the role of the vertical centrifugal pump and its spin-offs on California industrial development.